So, you made the first big decision to design a new website. This is a great first step, but now you’ve got a few logistics to think about. A website includes many different elements such as design, copy and media. This makes it a tough task for someone to handle all on their own, unless you have some decent experience under your belt. Chances are, your team doesn’t include professionals in all three. Luckily, there are people who you can hire to help you out in the areas where you’re struggling. One of the biggest (and sometimes most costly) decisions you’ll make is whether or not to hire an outside copywriter to write your website copy. Your website copy is one of the most important elements of your site because it contains the message, tone and call to actions for potential clients. Therefore, you should think hard about who you want writing it. Even if you are a strong writer, there are other things to consider before tackling the important task of writing your website copy. We’ve put together six questions you should ask yourself to help you decide wether or not to hire a copywriter. As an advisor, you no doubt have a very busy schedule on your hands. 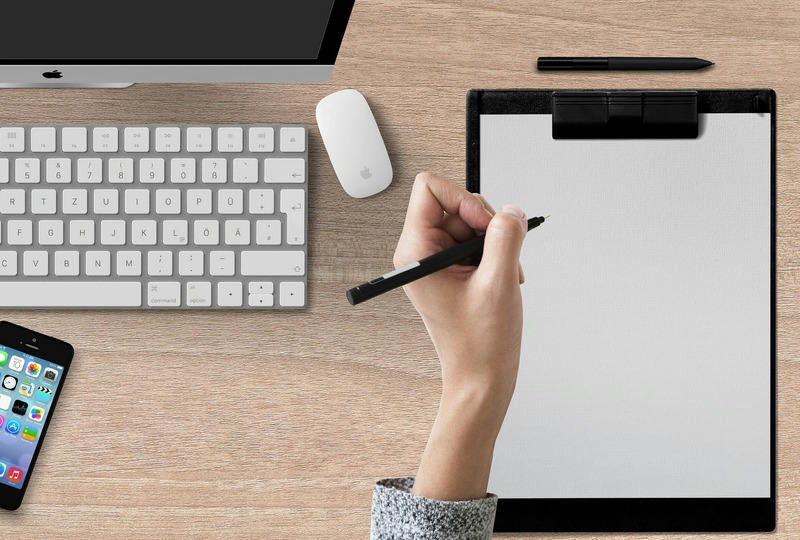 Is writing copy for your website really the best way for you to use your time? If you genuinely enjoy writing and feel like you’ve got a few extra minutes to spare during your day, then you may not mind taking on the task. However, if you aren’t confident in your copywriting abilities or don’t have time to make the high-quality copy your website needs, hiring a copywriter might be the way to go. The copy on your website is what clients initially base their impression of your firm on, so you want it done right. When hiring a copywriter he or she will have the skills and experience necessary to ensure clean writing that will impress potential clients and encourage them to take the next step with your firm. 2. Are your services crystal clear? If you’re a firm or RIA that is just getting started, you may still be figuring out exactly what services you want to offer and what exactly you can do for your clients. Heck, maybe you’re even still developing a niche market. Writing website copy for advisor websites, our team comes across this all too often. Your copywriter needs to be able to understand in detail what it is that you offer in order to write clear copy that portrays your business in the right way and can sell your services. Twenty Over Ten client, Nelson Financial Services, includes their services in a quick snapshot on their website. Oftentimes, a copywriter can be a helpful ally in these situations by acting as a sounding board for you. At an early point in your business, you may not have worked with enough people to have all the details down. A copywriter will often ask the tough questions that maybe you haven’t thought of quite yet, especially if they have experience working with other professionals in the industry. By forcing yourself to think through your service offerings in details and provide a clear answer to your copywriter, it may help paint a fuller picture for your clients and prospects. After all, this is an incredibly important aspect for clients and prospects to know when they’re deciding whether or not to work with your firm. 3. Have you established a niche? As copywriters ourselves, we know that the first rule of copywriting is to focus everything on the reader. The more specific you can be, the more successful your online presence is bound to be. Having niche-specific copy and a tailored blog can drive traffic to your website, increase your SEO for niche specific searches, position yourself as an expert in your market and ultimately develop better customer relationships. But, if you don’t know who your reader is, how can you begin to write compelling copy that will speak to and pull your prospects in? It’s equally important to establish on your website who your services are not for. You want to generate quality leads that will ultimately become clients, not necessarily quantity. Having trouble coming up with your niche? Here are some tips. 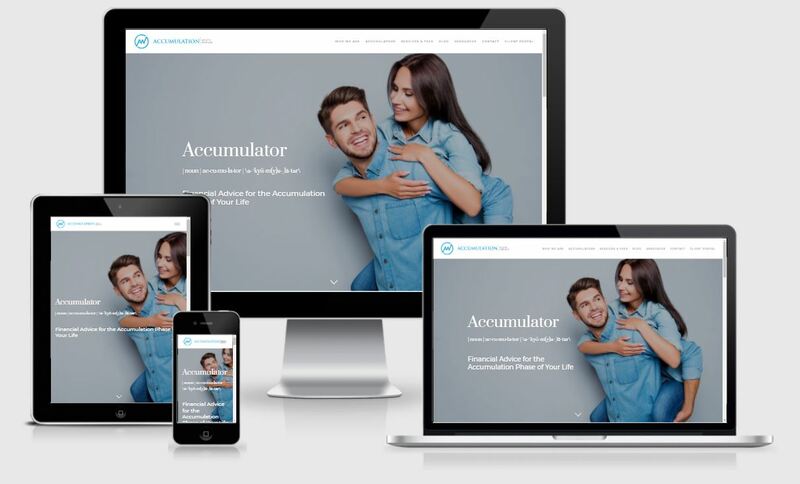 Twenty Over Ten client, Accumulation Wealth, works specifically with those in the “accumulation” stage of their life, which is explicitly reflected throughout the copy on their website. 4. Are your writing skills up to par? Have you ever visited a site with bad grammar and confusing wording? If you have, we’re guessing you probably didn’t spend very long looking around. Your firm’s credibility is worth everything, so you can’t afford to lose site visits or have a high bounce rate due to messy copy. Consider hiring a pro to ensure professional, clean results. These professionals have most likely done other work in the industry and know what makes successful copy for websites. If you think you’re a good writer, remember that its not only grammar you need to think about. 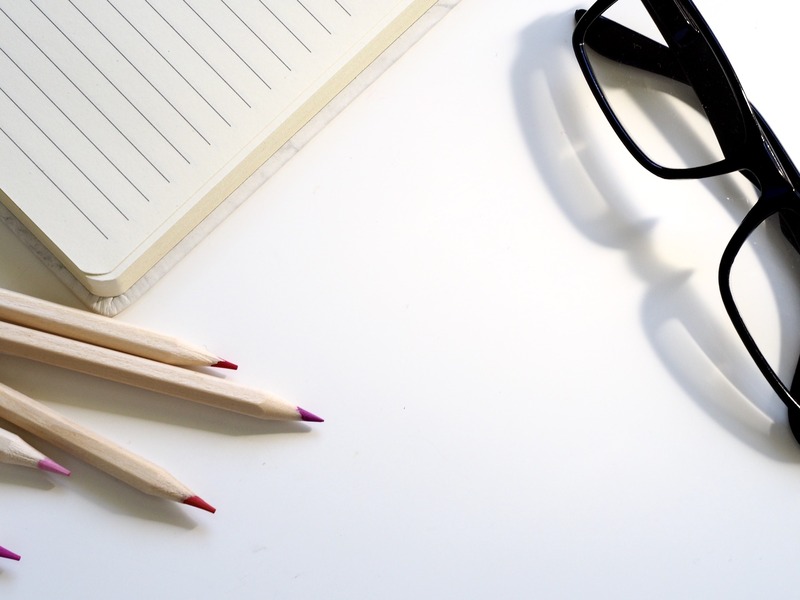 Ask yourself – are your marketing writing skills up to par? Maybe you do write a lot of marketing copy for things like your sales brochures. But when it comes to writing for digital mediums, crafting marketing copy is completely different. There may be techniques and useful strategies that you’re missing out on! A good copywriter will work with (or also should be) an SEO expert so they’ll create optimized copy for your site that attracts your ideal customers. This alone may be worth the extra money it costs to hire a pro! 5. Do you know your USP? Your firm’s USP, or unique selling proposition, is how you differentiate your financial planning firm from others who offer the same services. Because it is so important to identifying your firm and brand, your USP will play a major role in developing your website copy. Therefore, you need to have a good grasp on exactly what that is before you try write copy. Similar to when you’re establishing a niche market, working with a professional copywriter can also help in narrowing down the key points of your USP. It may even be helpful to sit down and actually write out the unique qualities of your firm before having this conversation with your copywriter. Check out some of our USP tips if you need a little extra creativity boost. Twenty Over Ten client, IMPACTfolio, includes their unique selling proposition front and center on their website. 6. What do you & don’t you like about your current website copy? There’s a reason you’re looking for a website upgrade, but you may not have narrowed down the specifics of what exactly you want to see changed. Because you’re so invested, this can be a tough question to ask yourself. Consider asking a colleague or even a client to give their honest feedback about your current website. There may be some existing copy that is working for you that you’ll want to keep. Sometimes, all you need for big results is a quick cleanup, not a total transformation. This is something you’ll want to be clear about before you start making changes, whether its you who is writing the copy or a professional. If you are working with a copywriter, this will be an especially important question to ask yourself before beginning your conversations with him or her. Its important your copywriter understands exactly what you want your copy to convey. If your business is moving in a different direction, you want a different tone of voice or you’re offering new services to clients, you need to make this clear to the person writing your copy or you could risk some major miscommunication.